The world has changed since the early Christian theologians named envy as one of the seven deadly sins, but it seems that the human heart has stayed much the same. 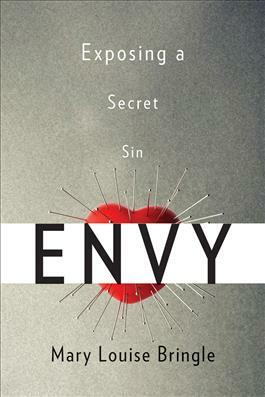 Envy: Exposing a Secret Sin by Mary Louise Bringle finds that what once was viewed as destructive to the soul is now desirous. From the Texas woman who tried to kill the mother of her daughter's rival for a position on the cheerleading squad to the market's use of envy to sell everything from cars to cat food, the "green-eyed monster" is alive and well. Perhaps the only thing that's changed is our attitude to envy. In this illuminating and lively volume, Bringle examines the evolution of envy from something to be avoided to something to be achieved. Drawing on a variety of sources from Gregory the Great to Cinderella, from Hieronymous Bosch to Vogue magazine, she explores ways to avoid the dangers of envy by reminding us of the ancient cure for this disease of the soul: gratitude.